The classic flavour was entered into the Taste of Anfield competition by Reds supporter Stephen Williams, who will see his winning pie on sale at Anfield this season. Stephen submitted his favourite flavour when the club embarked on a nationwide search to find a brand new pie filling to mark the opening of LFC’s redeveloped Main Stand. The competition saw supporters submit their tasty entries online, before a special panel including Anfield’s executive head chef, LFC’s general manager of hospitality, tourism and events, and Clayton Park Bakery, whittled the hundreds of entries down to just one – with Lamb Shanks unanimously declared the new Taste of Anfield. Until now, Anfield’s most popular bake has been the Steak Pie, with an average of 1,300 sold each time the Reds play at home. Last season saw over 87,000 pies consumed at Anfield, while the club’s famous Scouse Pie took Soccer AM’s ‘Top Pie’ in 2010. 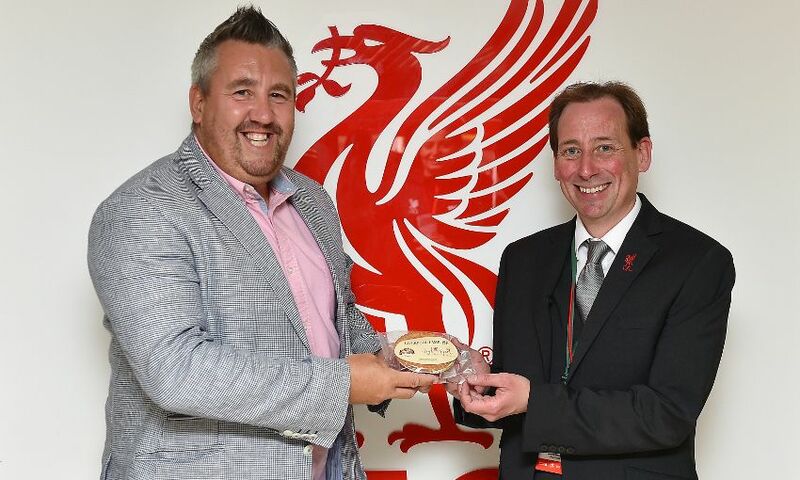 Following the competition, Stephen was invited to Anfield for the Reds' first home game of the season against Leicester City to see his winning pie on sale and enjoy Anfield’s world-class hospitality. Stephen will also be invited back to the home of the Reds to see the pie undergo the ultimate taste test when it will be served to an LFC Legend with the hope of gaining that crucial seal of approval. LFC’s ‘Lamb Shanks’ pie is available to purchase at all food concessions at Anfield Stadium.